This is an awesome world record! 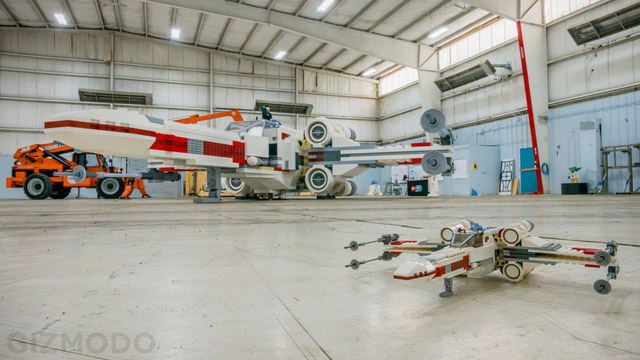 Lego has built a full-size Lego X-Wing Starfighter . It’s made of 5.3 million legos. And it’s a model of a lego model. Got that? 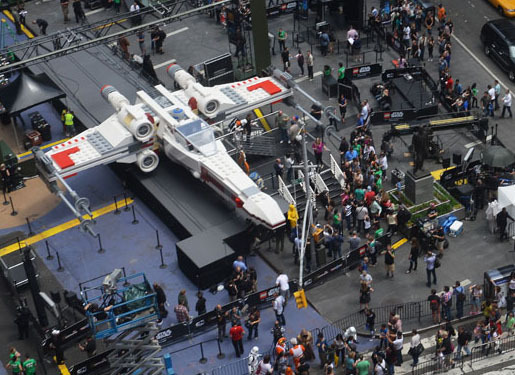 Weighing 46,000 pounds, it took 32 people over 17,000 hours to build and it’s on display for the next few days in Times Square. After that it will be moving to California. How big is it? It’s 11 feet high, 43 feet long, and has a wingspan of 44 feet. It was built to promote the miniseries The Yoda Chronicles on The Cartoon Network, premiering May 29.